If you have lived in the Ontario area for any length of time, you already know that we definitely get all four seasons here! Spring tends to be cool and rainy. Summer is hot and humid. Fall is rainy and cool. And winter… well, winter is dry and COLD. What this means is, for about 9 months out of the average year, getting sufficient humidity is not a problem. If anything, you might find yourself wishing for a little less humidity, especially during the steamy summer months! But in winter, the humidity drops as sharply as the temperature. Suddenly, our skin and lips are dry, cracked and painful. Everything we touch seems to crackle with static electricity. Worst of all, our dried-out respiratory tissues can’t fight off the cold and flu germs, sending us to bed with a big box of tissues for company. How can a whole home humidifier system help? Read on to find out! As with many things in life, the key to receiving health benefits from humidity is to take in the right amount. If there is too much, you feel sweaty, damp, and uncomfortable. If there is too little, you feel dried out, parched, and uncomfortable. Of course, you can’t control what nature decides to do. It might rain one day, with humidity levels skyrocketing to 70 or 80 percent. But then it might be dry for a week after, with humidity levels plunging into the 10 to 20 percent range. Luckily, at least you can control the humidity in your indoor air. This way, if being outdoors is uncomfortable and unhealthy, you can retreat indoors to re-establish a healthy balance. 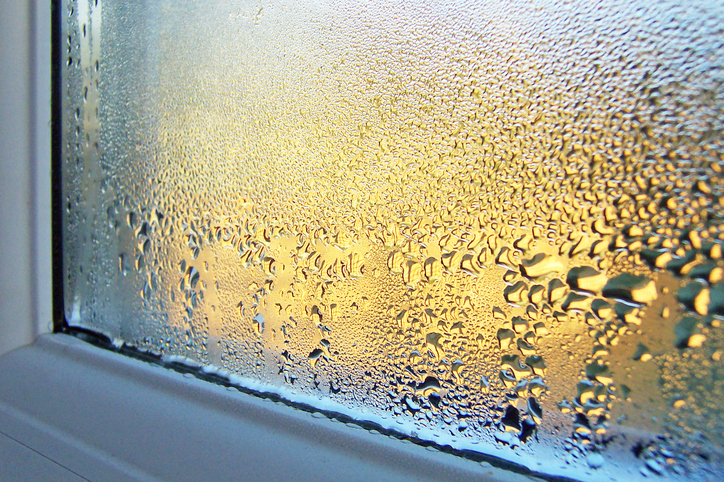 So what is the right amount of humidity for your indoor air? According to the Canada Housing and Mortgage Corporation (CHMC), keeping indoor air humidity levels between 30 and 50 percent is optimal for the health of both the structure and its inhabitants. When humidity stays at 50 percent or lower, there is a greatly reduced risk of mildew and mould, window condensation, wood rot, unpleasant odours and allergies. In the same way, when humidity stays at 30 percent or higher, the risk of dry skin, chapped lips, asthma attacks, cold and flu, static electricity and sparks, and physical dehydration lessens significantly. 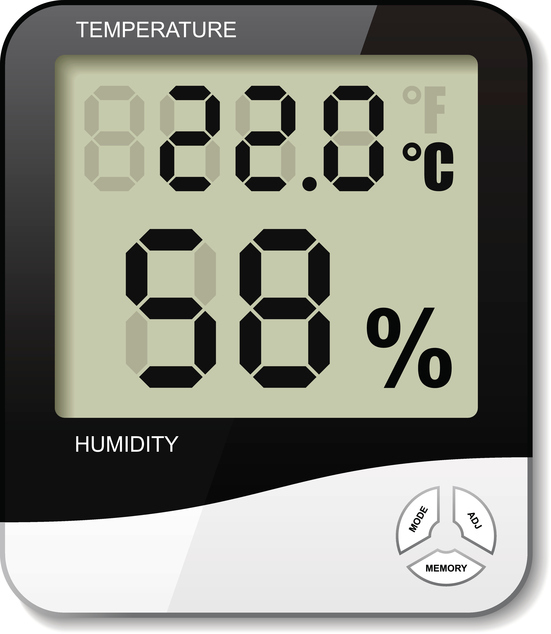 There is an easy way to figure out the average humidity levels inside your home. You can get an analog (mechanical) or digital hygrometer—either will work. What is really interesting about using a hygrometer is that you will immediately start to see that different areas of your home have very different levels of humidity. For instance, the bathroom, kitchen, laundry room, attic, and basement tend to be naturally more humid areas in a home. In contrast, the living room, family room, bedrooms, and foyer tend to be naturally less humid areas in a home. Knowing this, you can begin using your new hygrometer to measure humidity levels from one area to the next. It can also be helpful to know where humidity tends to be higher or lower throughout your home naturally as a kind of early warning system to help you detect emerging problems. For example, perhaps your basement is typically around 50 percent humidity. But then suddenly when you go to measure it one day, the humidity has jumped up to 60 percent. This can be a warning sign that something is amiss. Perhaps there is a water leak somewhere that is causing an increase in damp conditions. In the same way, maybe one day you go to measure the humidity levels in your bedroom and notice they have dropped from 40 to 30 percent. This too can be a warning sign. Maybe there is an air leak in one of the window seals that is admitting the cold, dry winter air. A hygrometer can tell you more about your current indoor air humidity levels and identify areas of your home that tend to be more or less humid. This can be very useful to troubleshoot problems such as potential air or water leaks that need fixing. But it can’t do anything to regulate your overall indoor air humidity levels. For this, you need what is called a whole home humidification system. A whole home humidifier can help ensure you have sufficient humidity in your indoor air to keep you and your family healthy all year round. In the winter, you may need to run the humidifier more frequently to compensate for the drying properties of heat. In the summer, you may not need to run the humidifier at all. In the spring and fall, you may find you need more humidity on certain days or weeks as the weather dictates. Moistens respiratory tissues to boost resistance to cold and flu germs and allergens. Keeps lips, extremities, and skin moist and youthful looking. Eases the threat of nosebleeds and asthma attacks. Lessens sparking and static electricity, both of which are home fire risks. Keeps real wood furnishings from drying out and cracking. Last but not least, a whole home humidifier system can help you save on winter heating costs. For example, adding just 10 percent humidity back to your indoor air can help it feel up to 10 degrees warmer than the reading on your thermostat! Right now, save 20 percent on your purchase of a whole home humidifier purchase and installation with our December Deals promotion! Give us a call at 905-544-2470 to learn more and claim your 20 percent discount!